Taking positive steps towards losing weight is always a good thing, whether they’re monumental efforts or small changes. Going on a diet, having a more active lifestyle, and cooking nutritious meals for the family take one closer and closer to healthy weight loss. 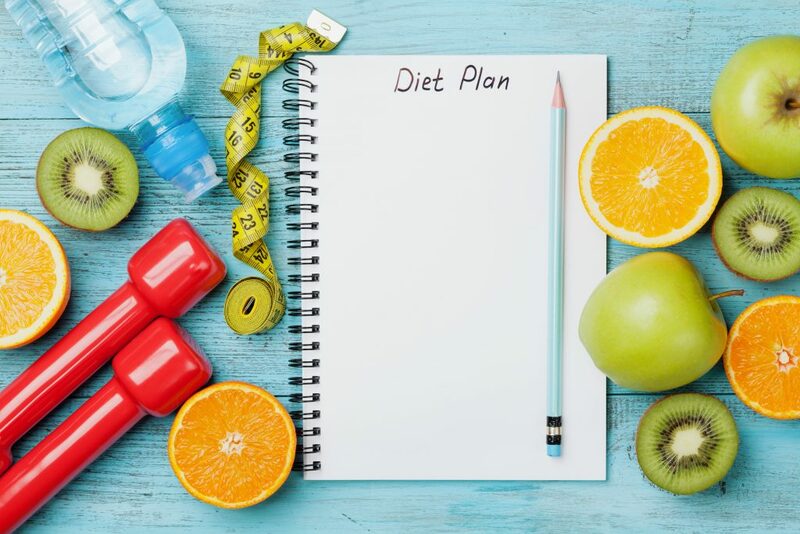 But more than just taking on a diet trend or trying a popular workout, these efforts have to become habits, in order for them to be truly effective, weight-improving, and life-changing. Clean Eating is a lifestyle. 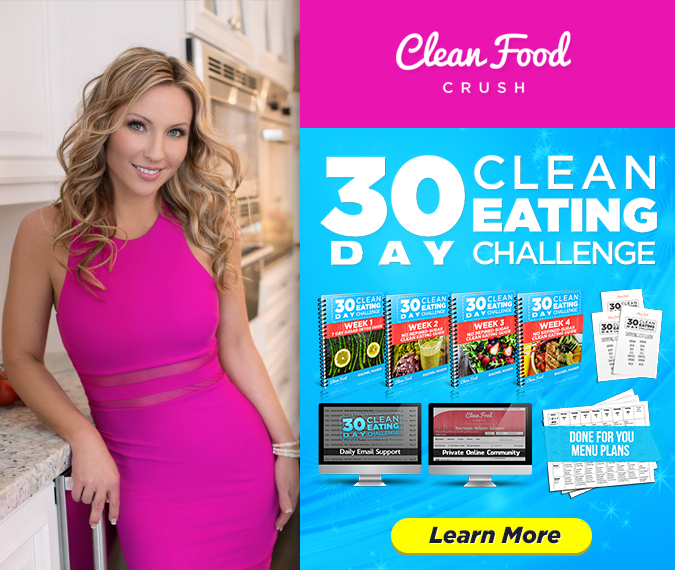 I designed the 30 Day Clean Eating Challenge to be about learning how to LOVE good food while losing weight and learning how to live in a healthy way. 1. Drink water – drink healthy. If you find yourself drinking at least eight to ten glasses of water per day, then you’re on the right track to losing weight and keeping it off. Being properly hydrated throughout the day keeps your energy up and also helps curb your appetite for processed eats. 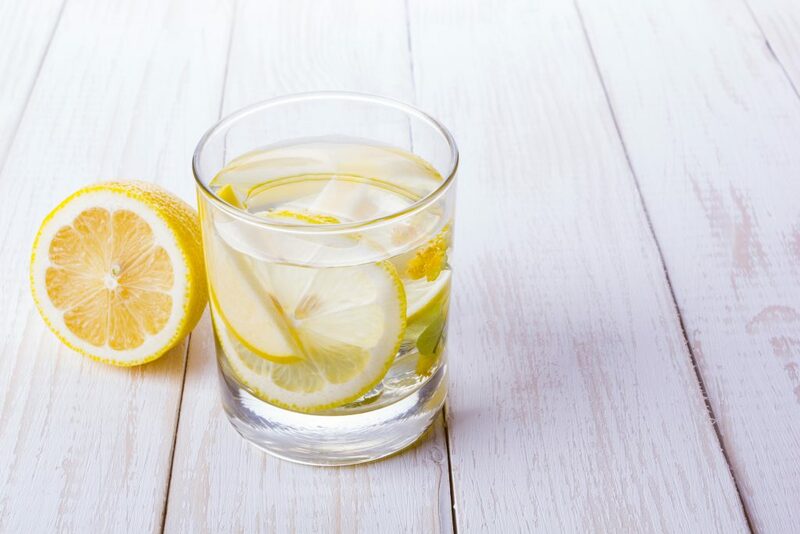 You can also change things up by going with healthier liquid choices – water with lemon or lime slices are just as delicious and refreshing. Smoothies hydrate and give you added nutrition. Going out for a cuppa with your friends? Green tea is the best choice. Proper hydration is key to ensuring that your healthy food choices do not go to waste with a daily dose of fizzy soda or other sugary drinks. 2. Make eating a scheduled habit. When you’re just starting with your weight loss efforts, one of the biggest adjustments you have to make is with how often you eat. Yes, you got that right – weight loss and keeping it off does not require skipping meals. Our bodies digestive process works in such a way that every about 2-3 hours, we experience ‘hunger signals’. This is necessary to continuously fuel the body for the activities we are about to take on. In order for you to effectively lose weight with clean eating and exercise, you have to make sure your body has what it needs. You have to eat small, frequent, nutrient-packed clean meals. This allows you to recover lost energy, and prevents you from binge eating to quell your built-up appetite. Your cortisol levels will remain low, and your body does not need to go on ‘survival mode’, wherein your brain signals your body to store fat in the abdomen. One of the most essential habits to keep when you want to lose weight and maintain a healthy body, is to make sure that your daily routines coincide with your health goals. What you repeatedly do determines the kind of results you’ll be getting. For example, make sure that eating a clean and delicious breakfast is part of your morning schedule. This is where food preps prove helpful – you don’t have to stress about what to have for breakfast, or what food to take for work. 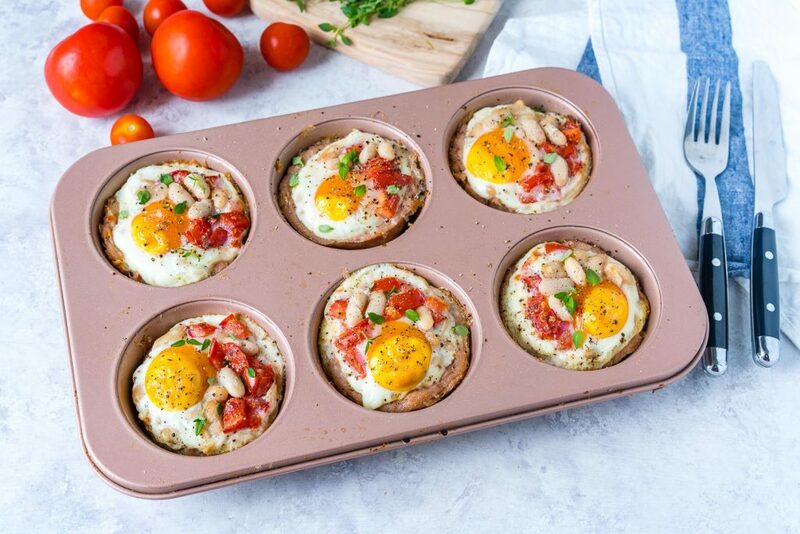 Try these Sausage Egg Breakfast Cups! Make meal preps a part of your weekly routine too – schedule it on your most ‘relaxed’ days, so you can actually enjoy doing it. Allot about three hours when you’re just starting out. How do you avoid overwhelm with all the changes you have to make? Start with what you can manage. If you’re super busy, you can begin food prep for just for the next couple of days – or just prep breakfasts instead of three full meals. It would take about 21 days for any ‘routine’ to become a habit you naturally fall into, so stay determined in sticking to it! 4. Make every step a positive experience. Weight loss can be fun – it can be exciting, it can definitely be something to look forward to every day. If you want to truly be able to lose the extra weight, and successfully keep it off, you have to exert extra effort to change your perspective about what you’re doing. Shifting to a clean eating routine does not have to mean saying goodbye to your favorites. You can look at it as eating more whole foods, and letting go of things that have a long-term negative effect on your body. 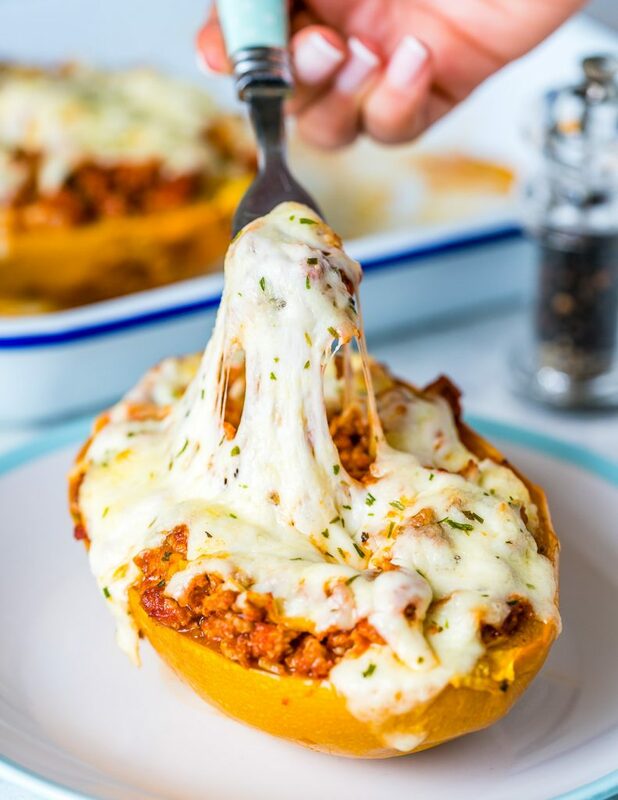 Clean Eating can also be a daily adventure – it can be about discovering new clean recipes like these Bolognese Stuffed Spaghetti Squash that you can put together to get some variety into your weekly menu. It’s about exploring more mouth-watering ways to transform your favorite fresh ingredients into delicious meals. Exercising does not have to mean setting aside your precious time to work out – it’s really more of investing your time to improving your overall health and quality of life. It can be about meeting new people and expanding your physical limits too! This kind of mindset motivates you to continue with renewed enthusiasm everyday. The result? Getting to your target weight and maintaining it becomes almost effortless. 5. Enabling yourself to avoid temptation. Maintaining a healthy weight is a lot about empowering yourself to avoid the ever-present temptation of processed food and the couch potato lifestyle. First, you ease into things. Make it a step by step process. For example, from today moving forward, no soy sauce and ketchup – the day after next, you move on to removing white bread. 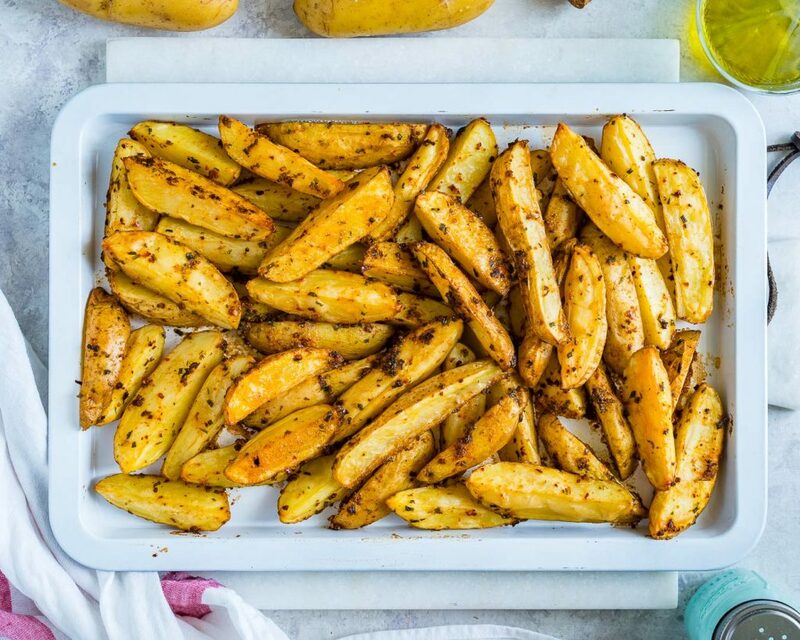 The gradual removal of processed food items lets you appreciate the transition more, and you get to discover the wide variety of alternatives available to you like these Spicy-Garlicy Potato Wedges! Then once you’ve slowly removed those processed items from your diet, eliminate temptations from sight, easy reach, and awareness. In short, make sure none is to be found in your home. You cannot consume what you don’t really have. If you love snacking, especially when you feel your energy waning at work, be ready by having some clean snacks in your bag or office drawers. Make them nutrient-packed and delicious so you’re never tempted to reach for a bag of chips or to order a fast-food burger. Some say it can be a ‘battle’ – so arm yourself by preparing for it. Don’t let temptation win! Let your weight loss habits form your healthy lifestyle, be on your way to keeping it off, and get ready to enjoy a life filled with love and vitality! What are YOUR weight loss habits? Share with us in the comments section below!